Back in the mid 1980’s, Dodge introduced the minivan with the Caravan and it was all the rage. But somewhere along the line minivans became unpopular and uncool. 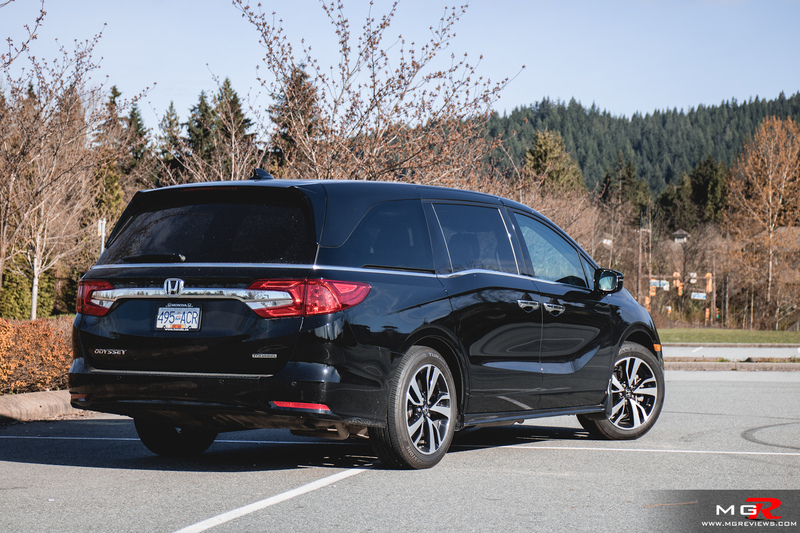 But there still is a place in the market for them (albeit a small place) which is why Honda has revised the Odyssey for the 2018 model year. 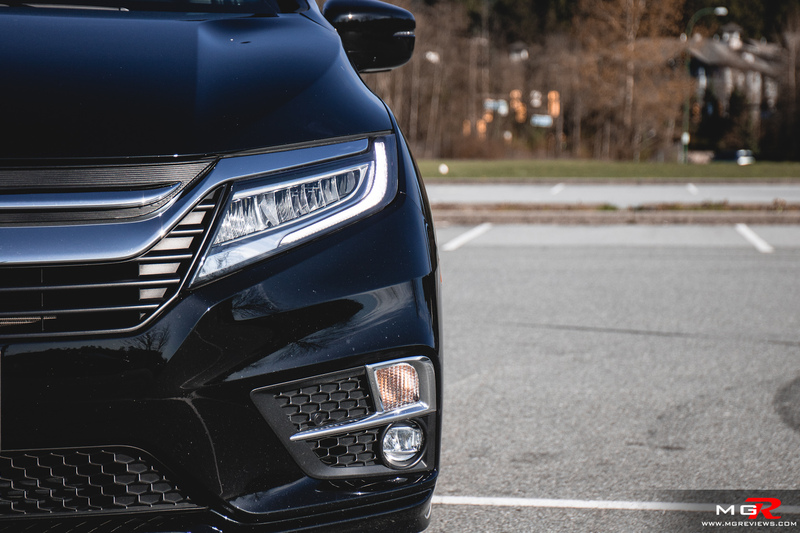 Engine – A 3.5L V6 producing 280hp and 262 lb-ft of torque powers the Honda Odyssey. As engines go, this is one of the smoothest V6 engines on the market today. When it’s running, it feels like it is an electric motor because it produces so little vibrations. In terms of power and responsiveness, it has plenty. Torque comes at relatively low rpms and easily accelerates the Odyssey up to speed with little hesitation. 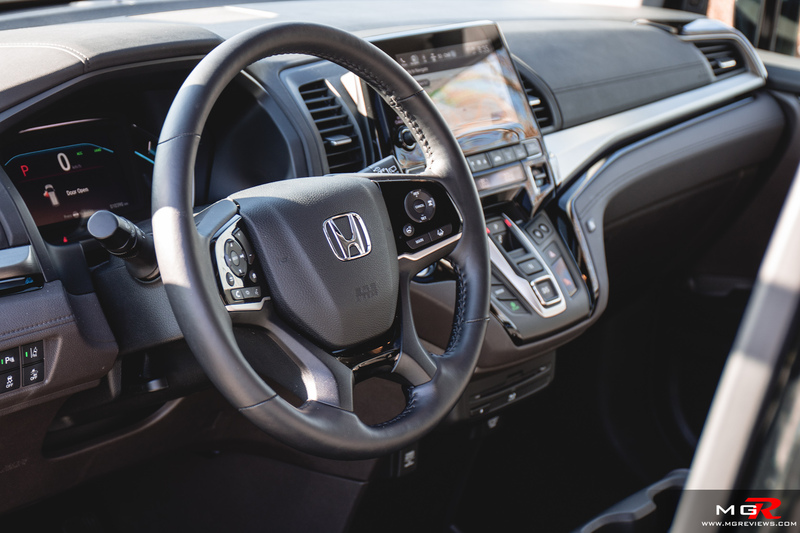 Transmission – A new 10-speed automatic transmission is what is offered with this Touring trimmed Honda Odyssey. 10 gears may seem like much for a minivan but it shifts smoothly and aids in fuel economy which is rated at 12.2 city and 10.6 hwy L/100km. I managed a mostly city economy figure of around 12.0 L/100km. 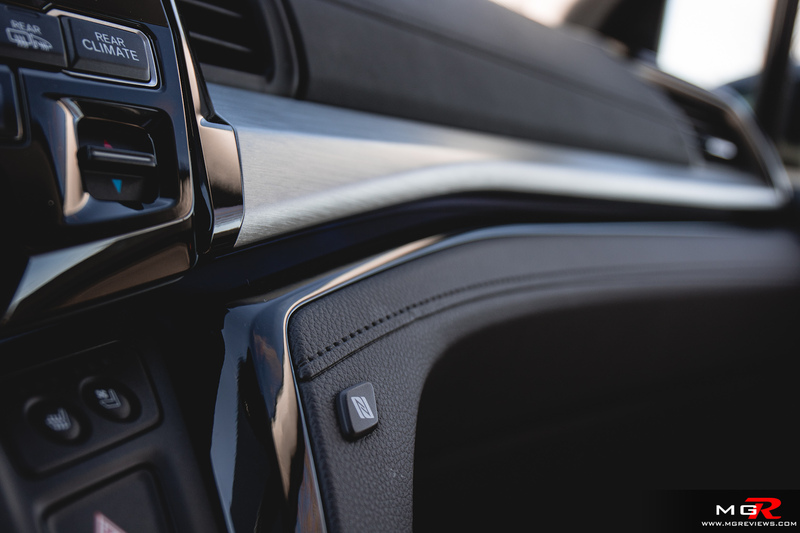 The lower trim levels are only available with a 9-speed automatic transmission. 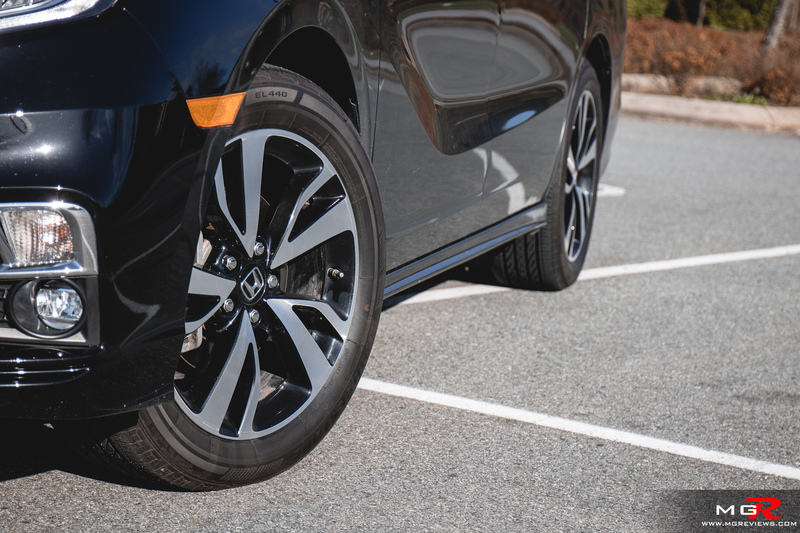 Braking – For a big vehicle like the Odyssey, the brakes are strong and bring the minivan to a stop with no fuss. The brake pedal is easy to modulate so that you don’t apply too much brake force and get rear ended or too little and hit the vehicle in front. 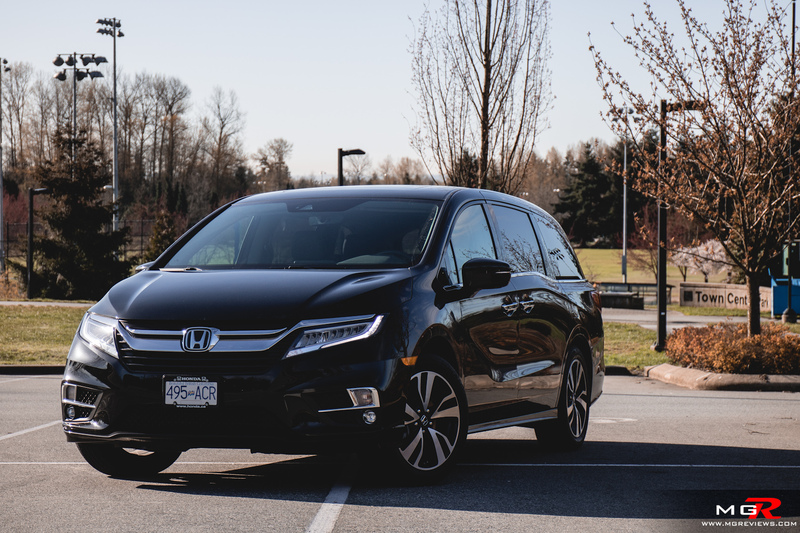 Handling – Again, for such a big vehicle, the Honda Odyssey offers a surprisingly good drive. The steering feels precise and connected to the front wheels. It feels planted and stable when going around a corner. Not at all what I expected from a minivan but it helps to make a daily mundane drive a bit more interesting. 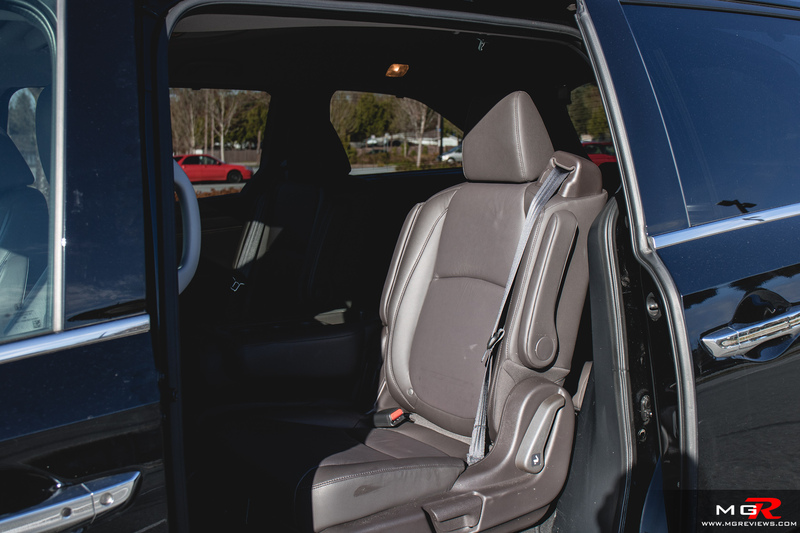 Ride Comfort – For the most part the Honda Odyssey is a comfortable minivan. The ride does feel a bit more jary over certain types of bumps on the road but for the most part daily commutes are comfortable. The seats in the front are spectacular for both commuting in a big city and for long roadtrips with the family. Soft cushions but also supportive. The second row seats are also very comfortable but the third row not so much. 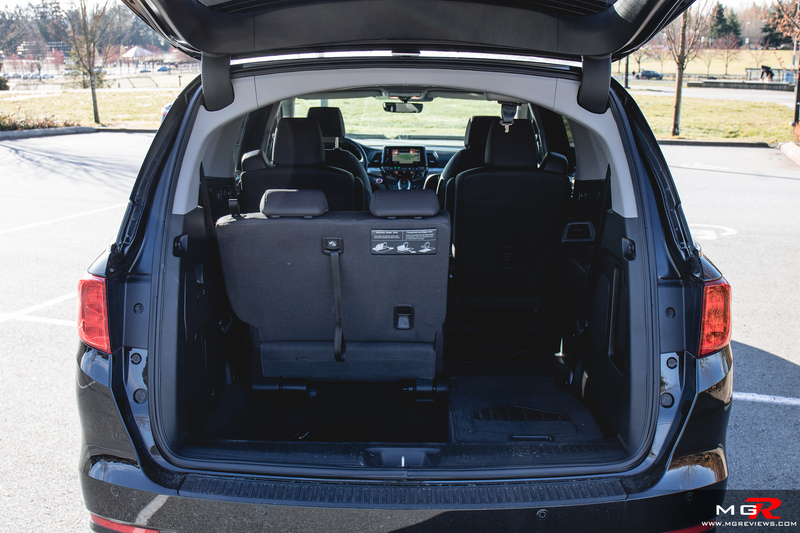 The third row can fold for more cargo space and the second row seats can be removed but it’s a bit of a process and may be difficult for some to lift the seats out. 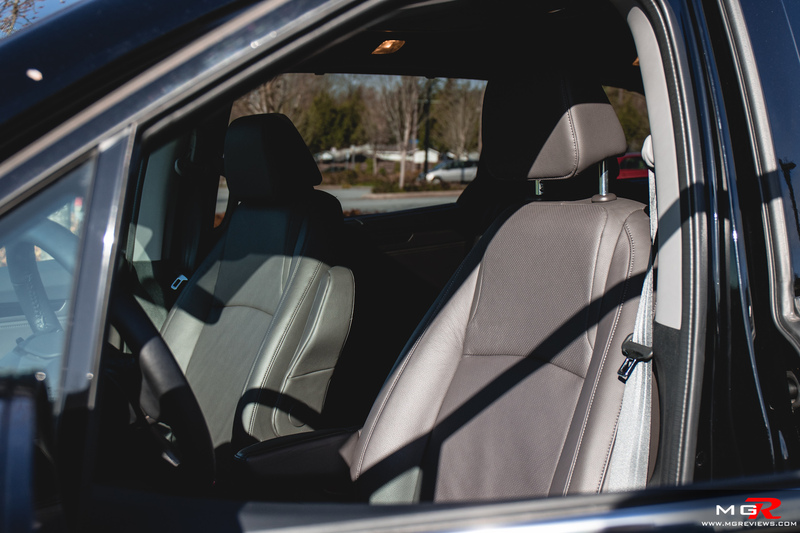 Noise, Vibration, & Harshness – The Odyssey is an incredibly quiet and smooth driving minivan. The V6 powertrain is one of the smoothest I’ve ever come across. Like mentioned before, it’s so smooth that it feels more like an electric motor than a fossil fuel burning engine. The cabin is well insulated from wind and tire noise on highways. A perfect and relaxing vehicle for long roadtrips. 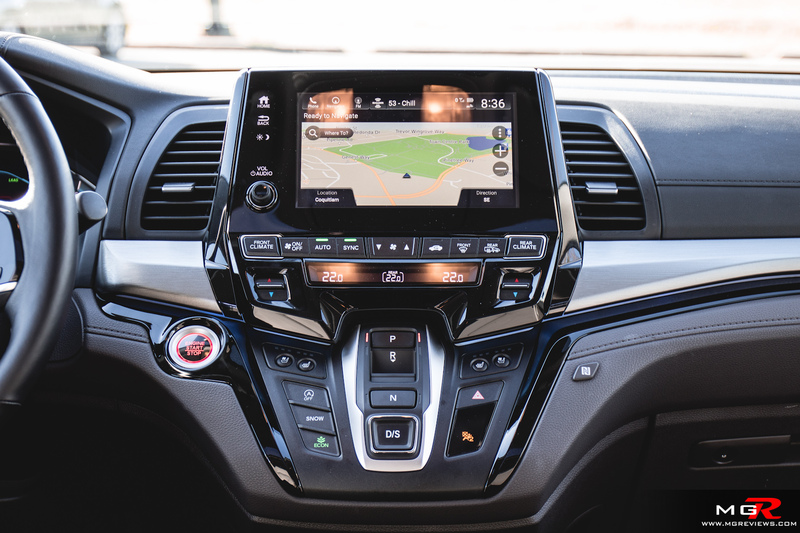 Interior Design – The Odyssey is among the first of the Honda’s to get the new gear selector arrangements that was first introduced on Acura models. On this minivan, it allows for a more seamless integration into the dashboard for a cleaner look. The center touchscreen doesn’t require stretching your arms out too much to reach and best of all, there is a volume knob!! The dashboard also features a blue highlight light that extends from the engine start button to the passenger door. It’s hard to see in the daytime but at night, it gives the cabin an almost futuristic and premium feeling look. 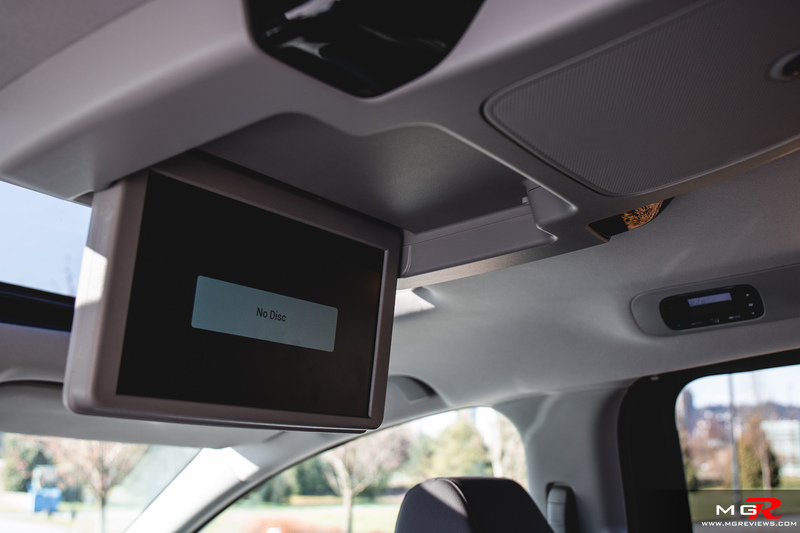 Gadgets – This being the top Touring trim, it is equipped with all of the available features. 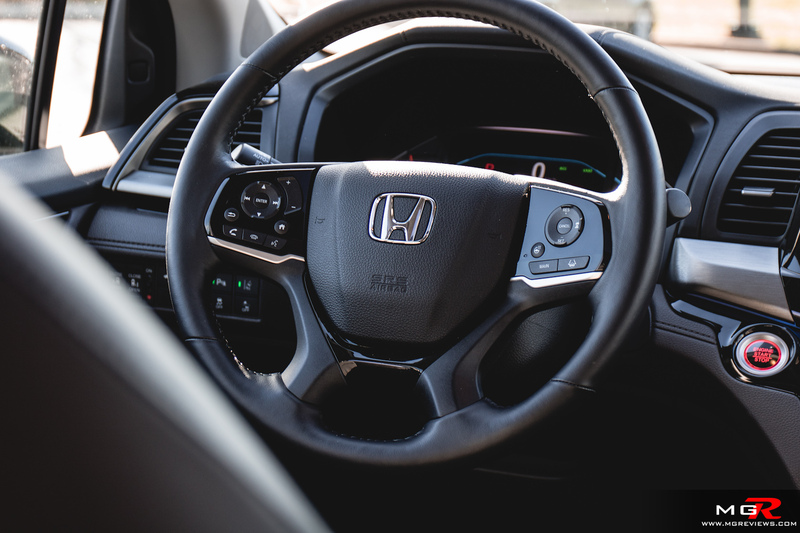 Like many other Honda vehicles, it has the same safety equipment like lane keeping aid with departure warning, blind spot sensors, adaptive cruise control, emergency braking, and so on. Along with convenience features such as navigation, ventilated seats, rear entertainment system, etc. the Honda Odyssey is well equipped. However there are 3 things of note. 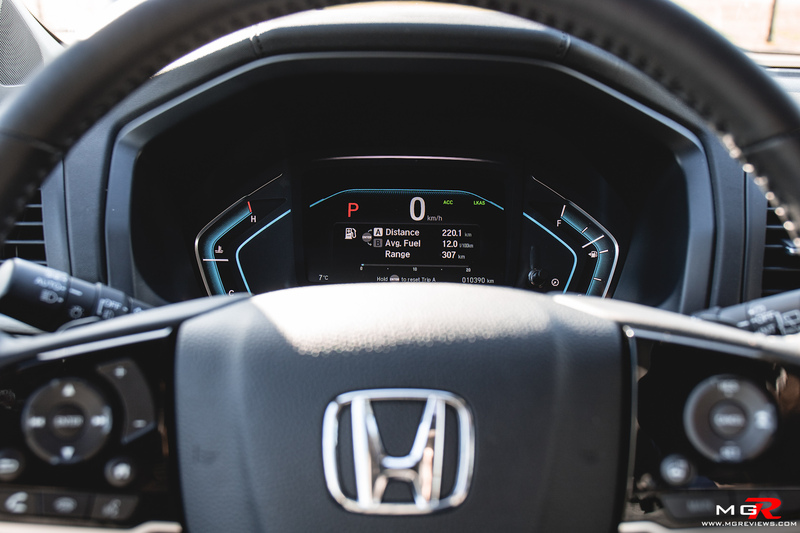 First, the LED headlights are not quite as bright as they are on other Honda/Acura models. Second, there is no 360 vision camera system. On such a big vehicle, it would be a nice feature to have. Third, it is available with a vacuum in the trunk. To make cleaning the inside of the Odyssey, Honda has integrated a small vacuum into the side left area of the trunk. 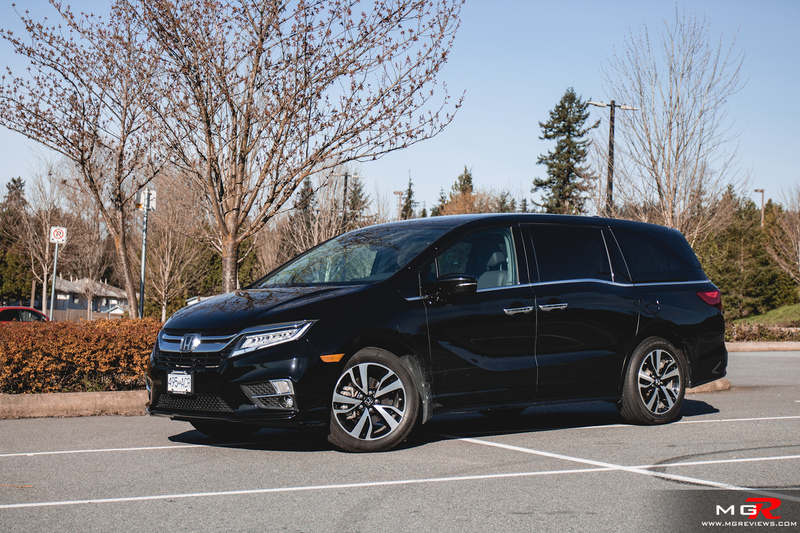 Exterior Design – It’s hard to make a minivan look cool and hip. But Honda’s designers have tried their best with this new generation. It has just the right amount of chrome trim on the front, side and, back with those LED headlights accenting the design. 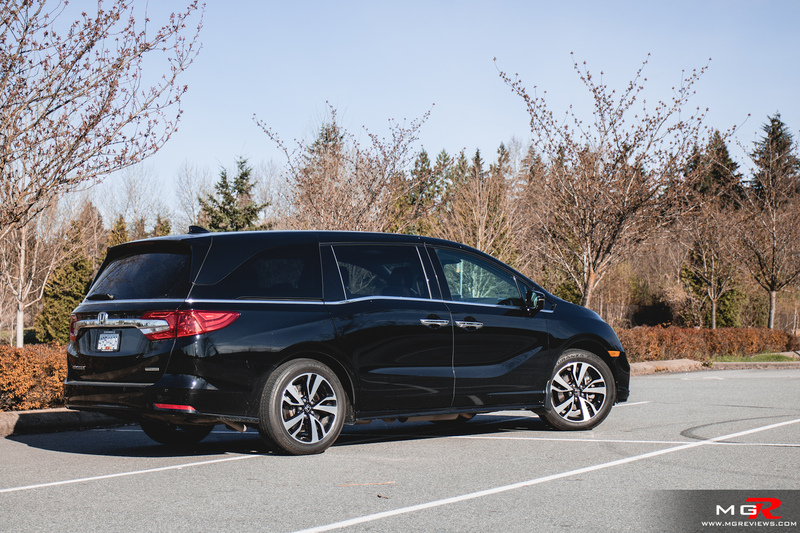 Around the side, it has curves and flowing lines that break up the usual bland shape of other minivans. And if you’re wondering about that dip in the sliding door, it’s meant to hide the track that the door slides on. 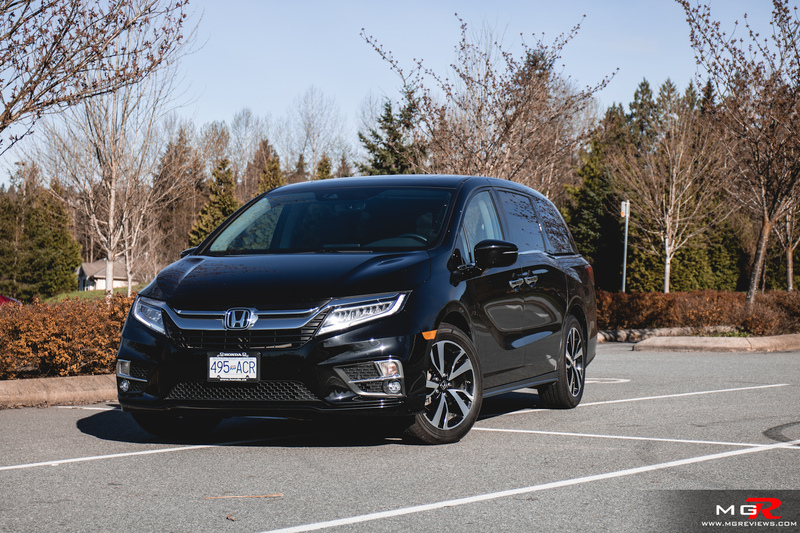 While minivans are nowhere near as popular as SUVs, the 2018 Honda Odyssey is currently one of the best on the market. 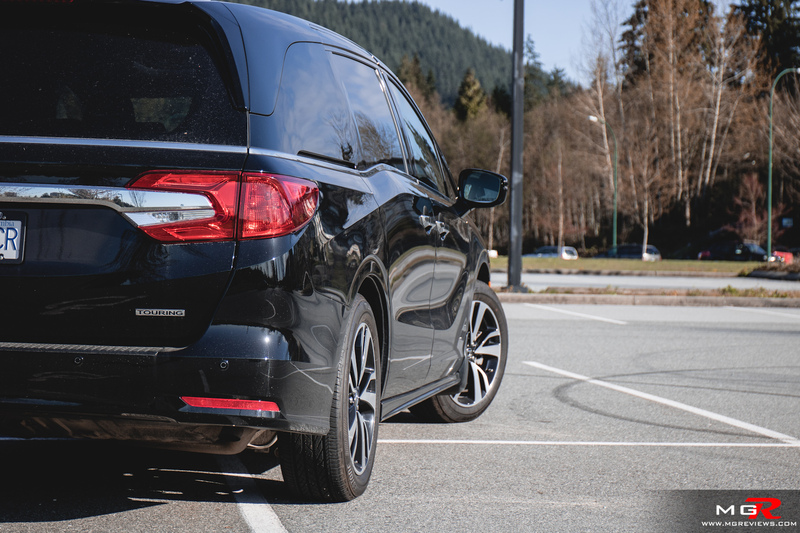 Comfortable, quiet, smooth, spacious, and packed with features to keep the whole family entertained. It is a little on the expensive side though. It’s over $500 more than the Toyota Sienna at $35,290 CAD for the base trim and this top Touring trim is breaking the bank at $50,690 CAD.